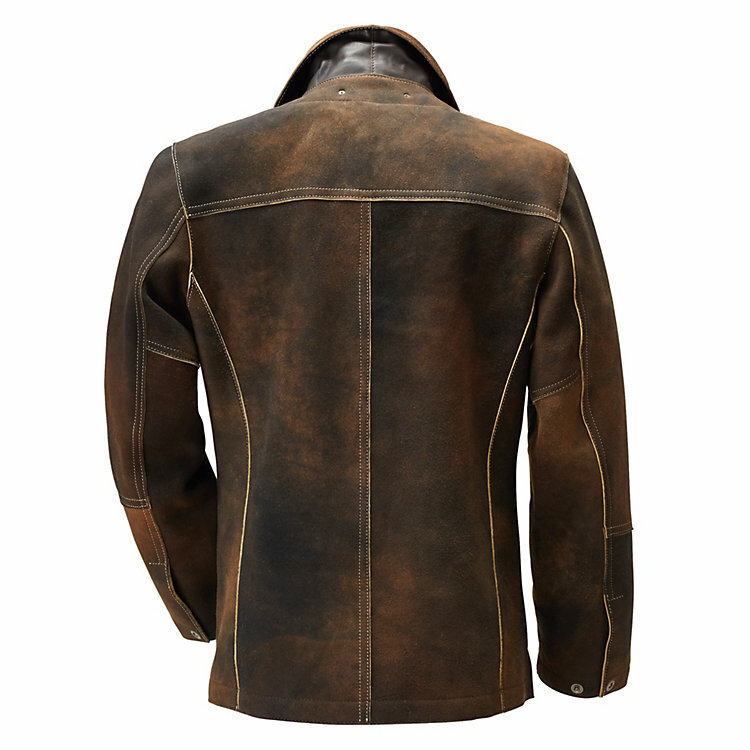 100% buckskin, old-chamois tanned, origin: Germany. Metal buttons. 1 buttoned inside pocket and 1 inside pocket with metal zip, 1 buttoned breast pocket. Vest 100% fulled wool. Made in Germany. Back length in size 52 = 77.5 cm. A Robust Piece of Work. Accompanied by a Woollen Vest. 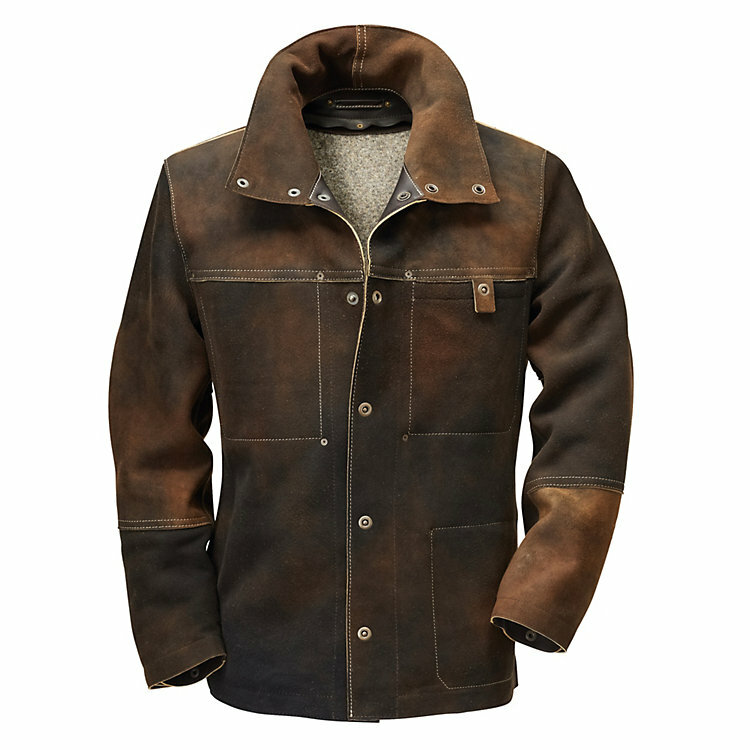 Hack manufactures this unlined jacket from dark brown, chamois tanned deerskin. The colour application by hand takes place in several steps. Because Hack works the leather in an open-edged manner, the bright yellow side, which is typical of this kind of vegetable tanning, remains visible at the cut edges. The leather is almost indestructible but still has a soft feel. The jacket is buttoned, while the collar can be closed right up to the top. The underside of the collar and the area inside the jacket where it can be hung up are finished with smooth leather. The cuff width can be adjusted via a button; small side slits are incorporated into the body. The pockets are quilted with contrasting stitching. A detachable woollen vest is provided on the inside of the jacket for extra warmth on chilly days. Hack. Leather Goods with Character. For decades, Christoph Hack has been dealing with very different kinds of leather in Cologne, collecting a wealth of experience that all goes into the design of his garments. For example, Hack only works with untreated leather, on which a considerable patina forms over time. The resulting changes in colour and surface are expressly desired because they allow the leather garment to age with honour. The jackets are partially assembled at the Hack headquarters in Cologne and partly in a Polish partner company. due to the dyeing process, the colour may vary slightly depending on the lot.